Have you always wondered what a Rise workout was like? Have your friends ever wondered? Is 6:30AM too early to make it? What if you had the chance to join in on all the smiles and awesomeness at 6:30PM?! Well June 26th you have the chance to find out! Flash Rise Friday’s are back and will be just as awesome and highfivey as ever! What can you expect? Well aside from spending forty-five minutes with the happiest and sweatiest people on the east side, we’ll be doing a Deck of Cards, HIIT, Partner Race, Group Challenge and end with a Sprint-Ladder. If you don’t know what any of these are, we’ll show you! Don’t know anyone at the workout, we’ll say hi and be your partner! 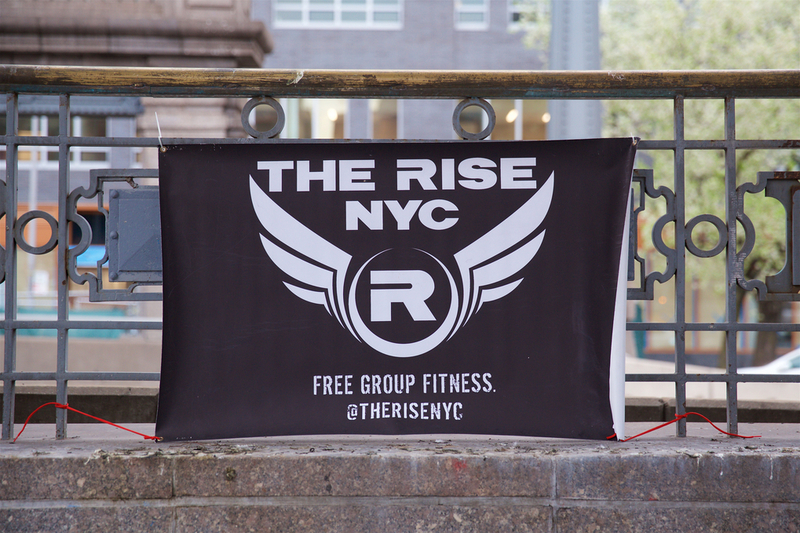 Get ready, join us at Stuyvesant Cove Park (20th St and FDR Drive) at 6:30PM for 45 minutes of an epic Rise workout followed by beers and cheers at McSwiggan’s NYC at 7:30PM. Tell your friends, neighbors, coworkers, frenemies or really anyone who will listen, to just show up and have a blast with The Rise NYC!